On many travellers bucket lists, “Rwanda” still has a question mark next to it due to safety fears in the wake of the Genocide. Over 100 days in 1994, members of the Hutu majority killed more than 1 million Tutsis and their supporters – in fact, 85 per cent of the entire Tutsi population were murdered. Words can’t describe the horror these people went through while the world watched like bored neighbours (although a trip to the Genocide Memorial Centre in Kigali comes close). 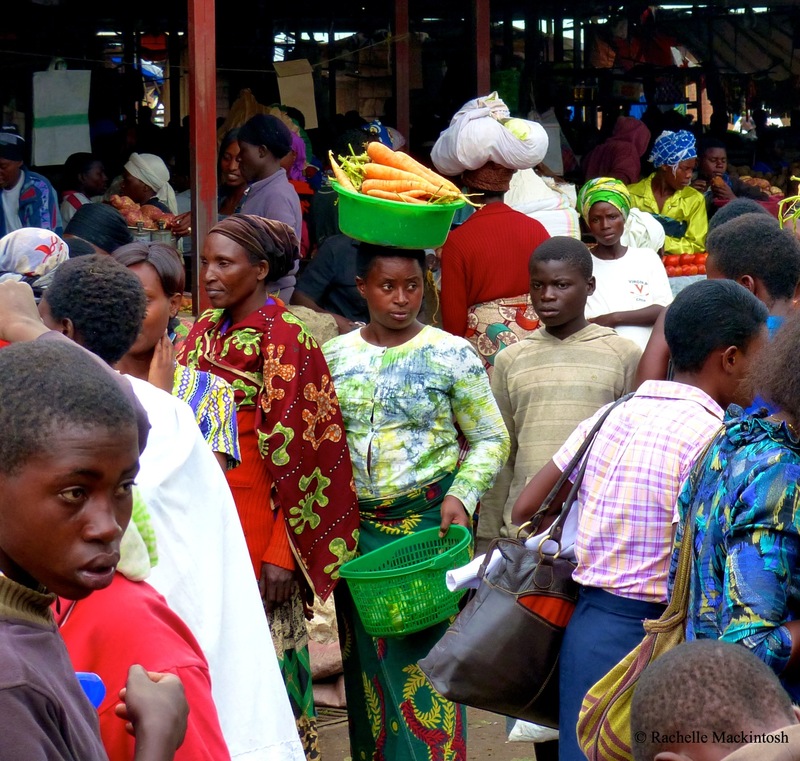 Remarkably, today’s Rwanda is a calm and friendly place to visit, and the Tutsis and Hutus live together peacefully again. Talk about resilience. And though some sadness stills lingers, the country has moved forward and is one of the cleanest countries I’ve ever visited. Actually, every month there’s an official “clean up Rwanda day” when locals collect any rubbish from public areas, plus plastic bags are banned everywhere to reduce litter (hint: if you try to bring them into Rwanda they’ll be confiscated). 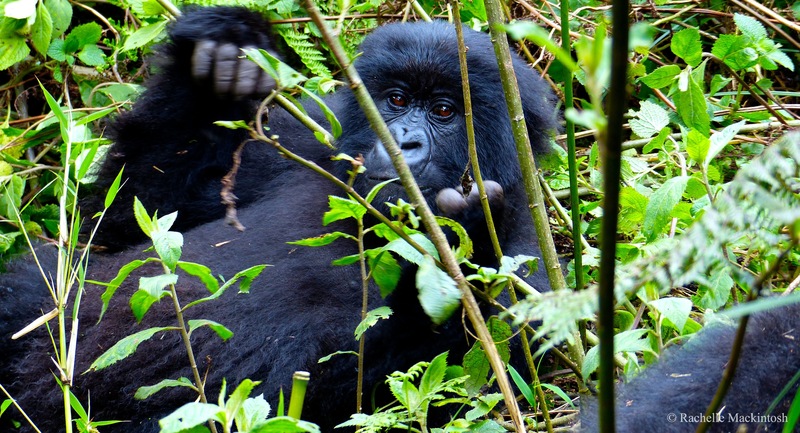 Rwanda’s bounce-back, in large part, is thanks to the mountain gorillas who live there: tourism’s on the rise and every day, around 40 visitors trek through Volcanoes National Park in the hope of seeing the gentle primates. In fact, between 2006 and 2013 the park has hosted more than 1 million visitors, raising around $75m in tourism revenue. The best bit: the government’s Shared Tourism Revenue Scheme gives back 5% of all tourist dollars to local communities, funding things like schools, bee-keeping, health centres, water sanitation and small businesses. And, since the initiative started back in 2005, $1.83 million has gone straight into community coffers. And just one last important figure before I totally forget my point: Rwanda’s-community led conservation efforts have led to a 26.3% growth in the population of gorillas since 2003. So, in less clunky terms: people are coming to Rwanda to see the gorillas, Rwandans are using that money to build a better Rwanda, and the gorillas are loving life so much that they’re breeding. Fist pumps all round. Being a seasoned Faunographer you already know that you can’t just mosey up a mountain and meet a gorilla. It takes legwork. And paperwork. So first and foremost, get a permit. I was travelling with Intrepid so mine was already pre-arranged, but if you’re freestyling you’ll need to make the arrangements yourself. Once that’s locked in, all you need to do is turn up at the Volcanoes National Park ranger station on your allocated morning and get set to sweat. I arrive at the ranger station and I’m put into a group of eight, then assigned a guide and a gorilla family to find – I’ll be tracking the 11-strong Ugenda family. When the scouts radio in to say they’ve found them in the Karisimbi area of the park, we meet our porters – yes, you will need one – and hot-foot it to the trail head. The hike weaves through terraced fields full of pyrethrum flowers – the pretty little daisies used to make insecticides – which takes my mind off how heavy my feet feel (the park’s altitude ranges from 2400m to 4507m – yikes). After climbing for about an hour, we come to a rock wall separating the jungle from the farmlands – I scramble over it and land feet-first in ankle-deep mud and chin-high vegetation. Here, we meet the scouts, and after 90 more minutes of glorious bushbashing, we find the gorillas. It’s a mind-blowing moment that leaves us all breathless – they’re a lot bigger than I thought they’d be. The silverback looks like King Kong and weighs around 200kg, and he sits by himself away from the rest of the group – which is a combo of pretty young lady gorillas and baby twins that make us all squeak with delight. I slowly, quietly walk over to the silverback to try to get the “perfect shot” but not only does he turn away from me with idle irritation, he lets one rip by way of welcome. Thanks, mate. Unperturbed, I decide to try my luck with some of the ladies – when I stumble and elegantly crash-land bum first in a patch of stinging nettles (hint: wear heavy, protective pants). Graceful. Incredibly, none of the gorillas are fazed by my unco-ness and gawking and, for one life-affirming hour, they ignore us and go about their daily business. Which is mostly chilling, eating, teasing each other and snoozing – yep, gorillas are definitely my kind of people. DO hire a porter. Even if you’re an ultra-marathon-running-bodybuilding-mountaineer. There’s quite a bit of off-track hiking involved and the muddy, slippery terrain can be challenging, and these guys are nimble, strong and super-helpful. But more importantly, the porters are local Twa tribesmen who use your (very modest) payment to feed their families. My guy, Augustine, told me that each porter only usually gets hired once a fortnight – it can’t be easy to support a family on that. Make sure you pack something for him to eat, too. DON’T spit in the jungle. Not only is it kind of disgusto for your trekking mates, gorillas are susceptible to human illnesses so they shouldn’t be exposed to your fluids. DO wear hiking boots. Even if they feel like anvils in your suitcase and cement blocks on your feet. Your joints will thank you, especially on the downward journey when the steep, muddy terrain becomes very ankle-twisty. DO check out the Rwandan government’s official site to find out more about the gorillas, your adventure, and all things beautiful in Rwanda. * Thanks to Intrepid Travel for making this trip possible. What a lovely post!! 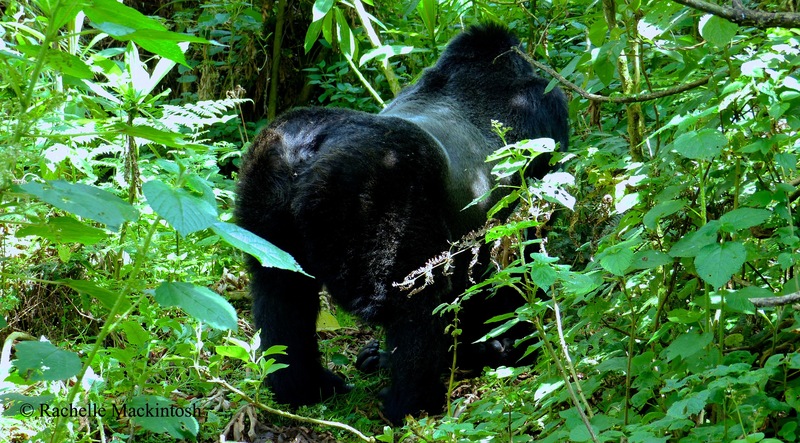 The overall insights of gorilla trekking Rwanda is quite impressive. Thanks for posting this and yes the photos are just superb.